This Godson has a black finished 154-CM blade with a plain edge. 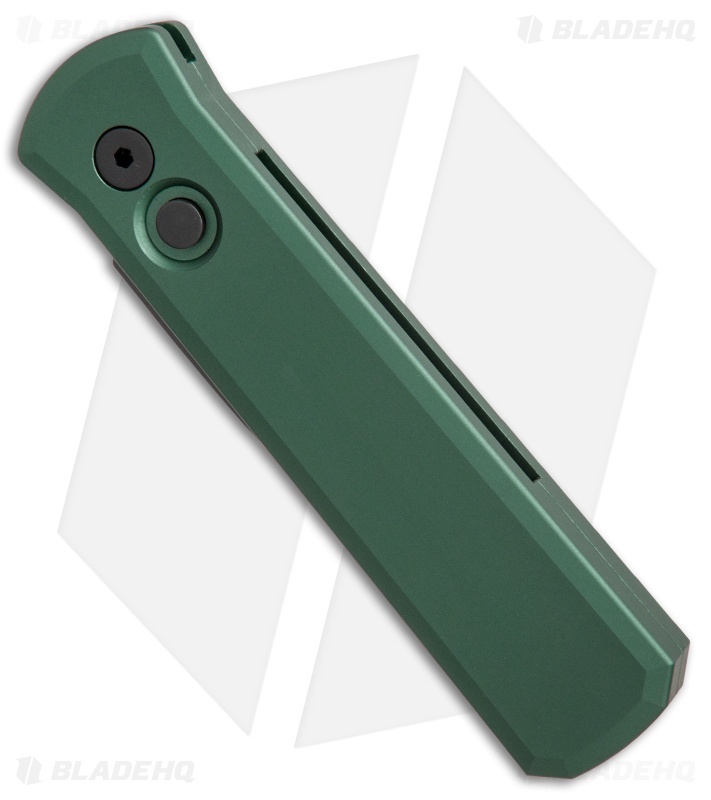 The handle is solid green anodized T6-6061 aluminum. 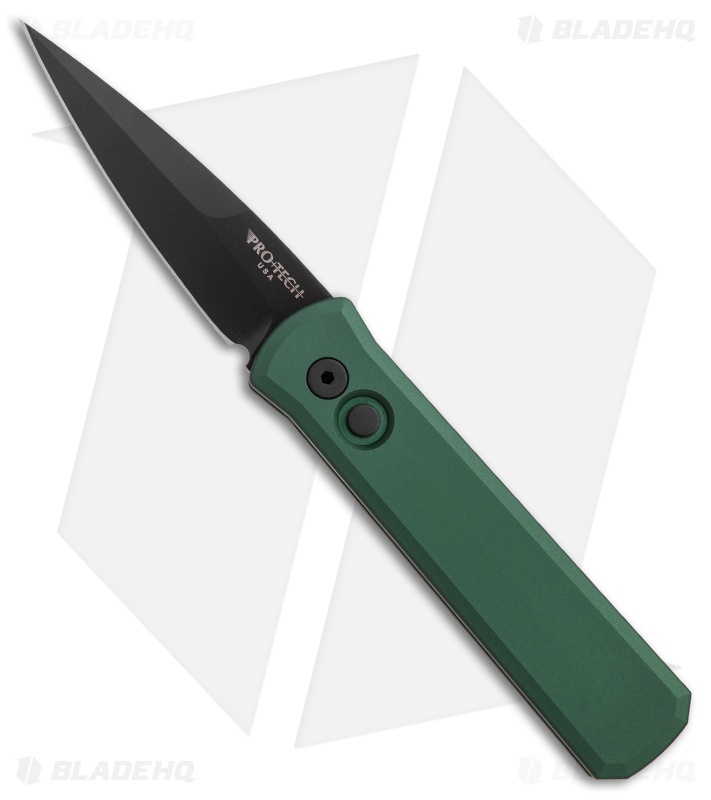 It also includes a black finished TiNi tip-up pocket clip for easy carry.